Trans-trax: What future is there for Virgin Atlantic and British Midland International? What future is there for Virgin Atlantic and British Midland International? Virgin Atlantic confirmed, in April 2011, that it had put itself up to scrutiny to see what sort of future it may have.Should it sell itself, join an alliance or find some other solution?That problem we will look at after looking at BMI because it has a great bearing on the matter. Lufthansa,firstly started looking at the possibilities of turning BMI around to make a profit. This process started in April 2010 after the airline lost GBP156 million the previous year. 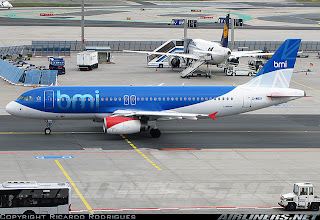 The progress was looked at again in September 2011, with the idea of accelerating it after the Middle East troubles of the spring and summer of 2011, which hit BMI particularly hard since a large part of their international traffic is into and out of that region.Very quickly the decision was reached to sell BMI either in whole or in parts or even liquidate the airline. British Midland International is comprised, principally, of three parts. 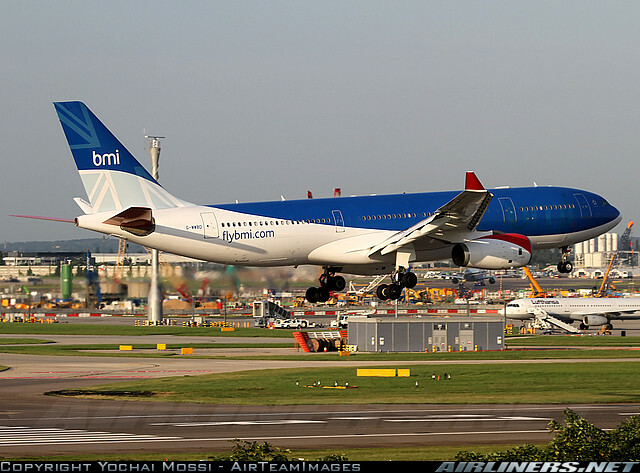 1- BMI mainline flies out of Heathrow on domestic and Irish trunk routes,some European, some flights to Africa(e.g. Sierra Leone and Addis Ababa) and the majority of long haul flights to the Middle East and Central Asia. 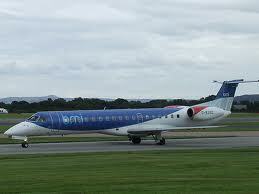 These were inherited when BMI took over the BA franchisee BMED in 2007. The basic problem is that, really, these three models are not really compatible.BMI flew Manchester - Chicago, which was later discontinued, and with the liberalisation of the North American market even had an opportunity to launch Transatlantic flights from Heathrow. It makes one think that BMI´s parent, Lufthansa and/or its American partners in STAR ALLIANCE did not want competition from another carrier at Heathrow - which seems very likely. 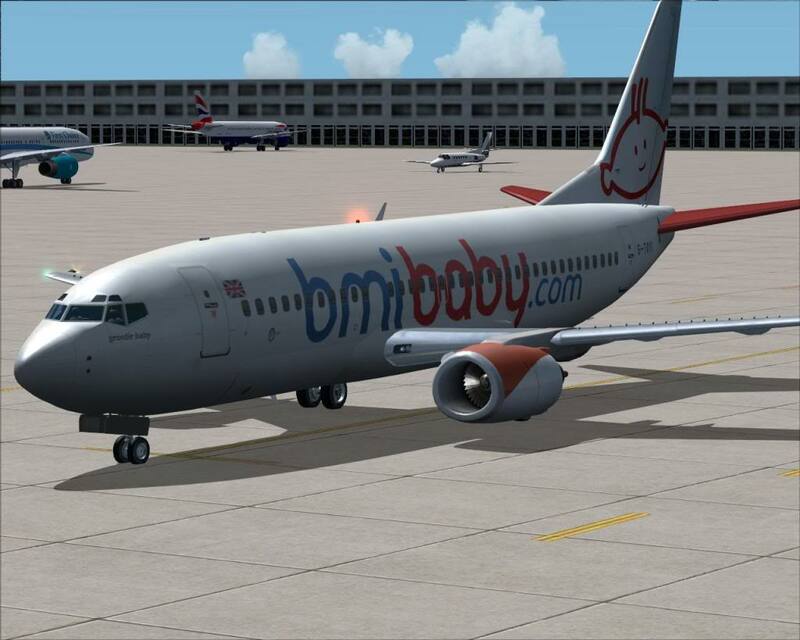 BMIBaby is a baby airline in size, compared to its competitors, and has been reducing its size and operations in recent months. It is a leisure and semi-business airline which has two opportunities. Either it drops out of the market and lets its business be taken over by rivals, or it sells itself to a rival as a going concern. As a business with aircraft, staff, airport infrastructure and good-will, it might be attractive to a foreign concern wishing to enter the British market. Its British rivals would look closely at the business to see if it were worthwhile or not - they might even wait for it to go bust and then pick up the pieces. Another element has entered into the frame with the founder of Easyjet, Sir Stelios Haji-Ioannou, announcing on 26th September 2011 that he is going to start a new budget airline, called FASTJET (www.fastjet.com). He has even registered the name E-JET (www.e-jet.com) He could shorten the process of setting up a new airline by buying the rights, especially the air certificate, of BMIBaby and then develop the airline as he sees fit. On the other hand he might ignore it and go his own way - that would probably be the last nail in BMIBaby´s coffin. Those airlines that have already expressed an interest in buying the group, or parts of it, are IAG (BA´s parent), Virgin Atlantic and the Abu Dhabi based Etihad. In fact BA has taken advantage of the situation and 23rd September 2011 bought six pairs of take off/landing slots at Heathrow airport.This last action is only one in a series which has been going on for some time with transfers of slots at Heathrow between members of the Lufthansa group, and probably will not end there. Lufthansa knows that its slots are extremely valuable and so if the case were that the sale of the slots produced more than the breakup value of the airline, without doubt the group would sell them and close the airline. BA´s interest lies in the slots at Heathrow. It knows well enough that it would have "competition" problems with the authorities if it took over the whole airline. Besides BA ,most likely, is not interested in any part except BMI mainline. That network of routes could well be interesting for BA to fill in gaps in coverage but they would certainly have to be profitable to make BA interested. It appears that BA is more after yield than coverage. Thus we conclude that it only wants the slots to do as it pleases. Another point to mention here is the anouncement of BMI´s winter timetable which sees decreases on its domestic flights Heathrow to Edinburgh and Manchester while increasing its flights to Morocco. Virgin Atlantic needs BMI at Heathrow for its slots (most certainly) and/or its network (possibly). VA does not have feeder flights or a feeder airline to its flights at Heathrow only codeshares with BMI so its British Isles and European routes would certainly be of interest. However, BMI´s North African, other African, Middle Eastern, Arabian and Central Asian routes are a long way from VA´s present markets. VA focuses on markets with a high standard of living, upmarket leisure resorts, and strong business travel destinations - basically, where there is a strong demand for Business and First class seats. Thus quite a few routes would be looked at carefully by any prospective buyers. 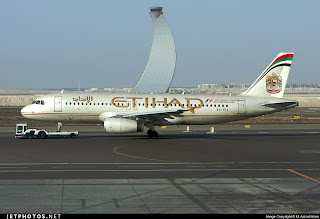 What is Etihad´s interest? This is difficult to say. However, it must be remembered that Etihad is a non EU airline so would not be allowed to take over more than 49% of BMI. 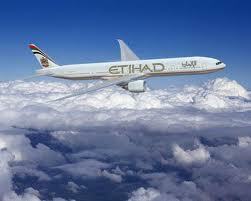 Therefore, the obvious conclusion is that Etihad would make the investment together with EU investors. If Etihad goes it alone in BMI with financial backers then it is looking for management control, even if it does not obtain absolute control. There also exists the possibly of another airline(European) investing with Etihad in BMI. As yet it is not known what their plans are. Whatever happens it should not be forgotten that BMI is in STAR ALLIANCE whose members hold 33% of the landing slots at Heathrow and they would not wish to lose out to competitors in any sale of slots. However, it should also be mentioned that the rule with the slots is "use them or lose them" (at least 80% of the time). In fact BMI, at least for a time, ran empty planes into/out of Heathrow just to maintain some of its unallocated slots. That is why Lufthansa might have its hand forced, and will have to sell the slots. It should also be pointed out that landing/take off slot pairs are time specific - meaning that you might have one at 07.15, another at 14.35 and another at 22.05 hrs. This makes them difficult to be used for any other purpose than at present. For example, a 07.15 or 22.05 take off for New York just cannot be sold to customers but to connecting passengers maybe. On the other hand landings at those times might well be what the airline wants for long-haul flights. Nearing the completion of the merger of BA and Iberia into IAG, Virgin Atlantic asked its advisors to look into the possibilities it had to remain alive in the future. These included joining an airline alliance, or not, merging with another airline, or whatever. Sir Richard Branson seemed to lay down some parameters when he said that if it came to selling part of the shareholding of Virgin Group(51% at present) in VA then it would remain with a substantial shareholding. That,undoubtedly, blocked some possible solutions. Singapore Airlines holds the other 49%. However, it has been said for some time that SA wants to offload its shareholding. As mentioned previously, VA flies a series of long-haul routes to North America(9 destinations), the Caribbean(8), Africa(5), Asia(5) plus Sydney. Most flights connect to other carriers for onward codeshare services - Singapore Airlines, Air New Zealand, United (Continental), South African. 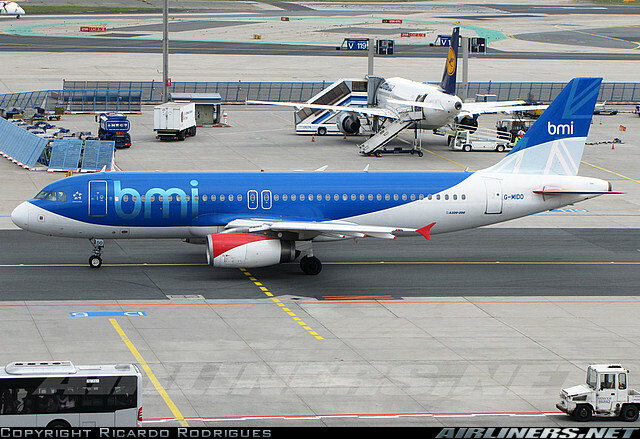 BMI provides the codeshares for the services in the British Isles, continental Europe and also for the other mid and long-haul BMI services from London Heathrow. These airlines are all in the STAR ALLIANCE. Some other codeshares are available on specific routes, including Virgin Australia in that country. As mentioned before the part of BMI Mainline that provides connecting passengers would more than likely be of interest to VA. The mid-haul and long- haul routes are another question. It is difficult to see VA flying to Addis Ababa, Damascus, Tehran, or Baku, for example. The slots would certainly be interesting but might be put into use for other different leisure and/or business destinations. All the indications, as pointed out here, suggest that Virgin Atlantic join STAR ALLIANCE. However, things are never that simple. It has been said that this possibility was open to VA some years ago but was rejected by Branson because the conditions were too onerous. The said conditions have not been seen so cannot be commented on. Suffice it to say that Branson has a strong personality and will not be pushed around easily. 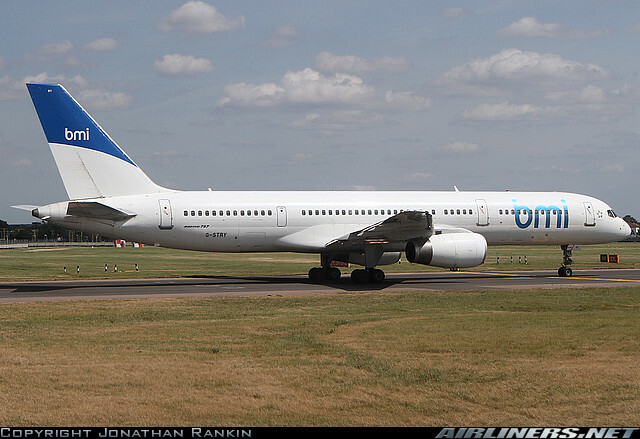 The other alliances to be considered are "oneworld" and "Skyteam". "Oneworld" has as its leaders BA and American Airlines, amongst others, while "Skyteam" has its leaders as Air France/KLM and Delta. To join "Skyteam" would be a very big plus for that alliance as its profile in Heathrow is very small and the addition of VA would make the alliance a more serious competitor. To join "oneworld" is a non-starter. This would combine VA with BA and only provide insurmountable and unacceptable competition problems. One option which has not been mentioned is the VIRGIN ALLIANCE, or whatever it could come to be called as a fourth possibility. The US, EU and other countries´authorities would without doubt welcome such an option. It would provide more competition and offer an entrance to other airlines which would find it difficult to enter the three big alliances at present. Let us look at the Virgin Group. It owns 51% of Virgin Atlantic. After that it invested in the setting up of Virgin Blue (Australia) which resulted in Pacific Blue (for New Zealand and the Pacific islands) and Polynesian Blue for services from Australia to Samoa ( in conjunction with that government). Later for international services to San Francisco and Abu Dhabi V Australia was set up. These all are now being incorporated into Virgin Australia as the single brand. 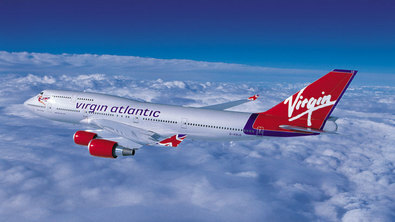 This process should finish by spring 2012.Virgin Group (Branson´s holding company) retains about 25% of ownership. Virgin America was the next deal. Here the limitation on ownership is 25% as others have found (including BA - in United, later in US Air - and KLM in North Western). The main point of contention in the setting up of the airline was that the US authorities would not let Richard Branson or others of Virgin Group have a managerial role so excluded them from the board. This is a tremendous limiting factor. On the other hand the US authorities do not put any sort of stoppers on Branson promoting the airline in the US when it opens new routes - which is quite frequently. As can be seen from the photographs the image of the three airlines(Virgin Atlantic, Virgin Australia and Virgin America) is very similar. One can easily be confused with another. This is deliberate, logical and done for a purpose. The reason is to confect a global image of the airlines so that passengers can flow from one to the other - feeling comfortable with the service and amenities. Is it not logical to conclude that a VIRGIN ALLIANCE is in the making? 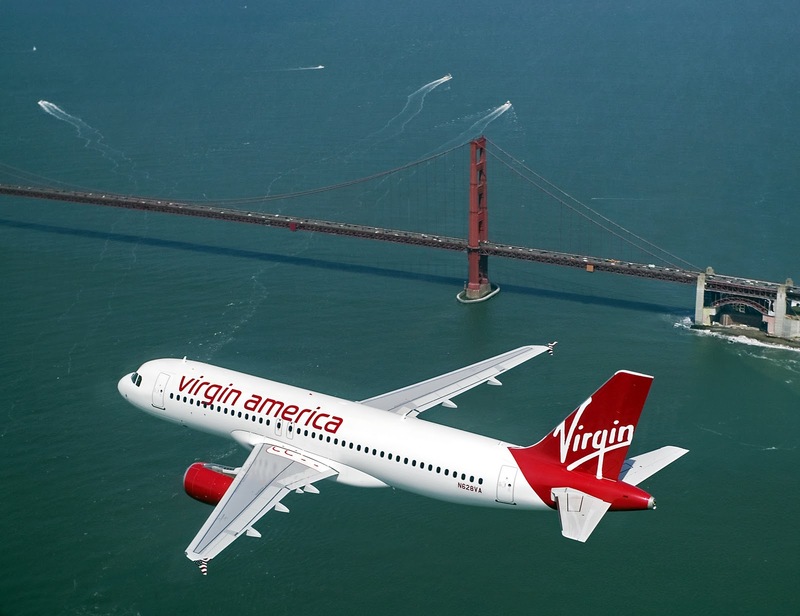 Virgin America has difficulties in establishing any sort of alliance beyond codesharing without seeking permission from the US anti-trust authorities. Thus it cannot be taken into consideration until the other parts of the puzzle are in place. After that it should have no problem in receiving anti-trust immunity with its namesakes as a fourth alliance to promote competition - especially over the North Atlantic, and the Pacific to a lesser extent. 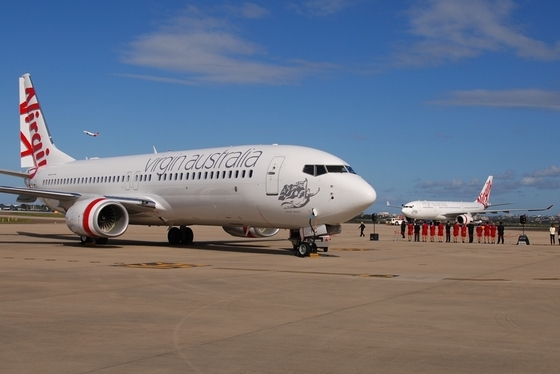 Virgin Australia is very active in promoting its services. It has TransPacific routes to the western US coast, to Abu Dhabi as well as Australia and New Zealand routes, and seeks to extend its network in Asia. 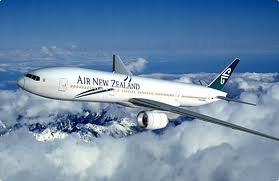 Currently, apart from Virgin Group, Air New Zealand has a 19.99% shareholding in the company. This makes for co-operation not competition, obviously. On the other hand Singapore Airlines has signed a co-operation agreement with Virgin Australia as recently as June 2011. This is in addition to SA´s investment in Virgin Atlantic which it might not be so willing to sell as before. Virgin Australia has also signed an agreement with Etihad Airways for services from Australia to Abu Dhabi and onwards to such destinations as Europe (and not only Great Britain). These services started thrice weekly in February 2011. Obviously, it opens up the possibilities for passengers to a large number of destinations in Europe and the Middle East as well as other points in Africa and Asia. The only "negative" points to consider, if that is the case, are the agreements(in the USA) with Delta (which is in the Skyteam Alliance) and Alaska Airlines (close to oneworld) which do not seem compatible with the rest of its connections. The present HEAVY airlines with the Virgin airlines are members of the STAR ALLIANCE. This makes one conclude again that the tendency is to take Virgin Atlantic ( and its sister airlines) into STAR ALLIANCE. However, the question remains if that is the intention. The brand is strong in the three markets(UK, USA and Australasia) and very similar in image. Could the group go it alone? That would depend on the other three airlines ANZ, Et and SA joining them - in which case the attractions are greater.This is not such a strange idea since SA is known to not get on well with its partners in STAR ALLIANCE. What else can Virgin Atlantic do? It must not be forgotten that the Virgin Group has a high profile in various countries in Europe and the Middle East. With mobile phone companies, health clubs and megastores in France, Germany, Italy, Portugal, Spain and Greece, amongst others.Thus the latent potential to build on the Virgin name is very strong. Add to that, that Virgin Atlantic is not a country specific name then the possibilities of opening up routes from non-UK airports mean that the adaptation to each market could go ahead without much readjusting of the image or the message. Taking over BMI, and most certainly its European routes, would open the doors to establish Virgin Europe airlines, operating inter-European routes. The obvious aim would be to feed into long-haul VA routes from Heathrow or anywhere else VA decided to fly from.This would be a venture, without doubt, with a greater possibility of succeeding than the present BMI. The BMI group should be split up and sold in parts. BMIBaby should be sold off to the highest bidder - possibly Stelios. BMI Mainline should go to Virgin Atlantic, maintaining the routes(or at least slots from Heathrow). The European (with North African and Middle Eastern parts should be folded into a new airline called Virgin Europe. This would ensure feeder services into its present routes, those of its partners and provide a vehicle to expand. Virgin Atlantic can accept going into STAR ALLIANCE with or without BMI Mainline. It would, however, end up under the diktat (or even ownership) of Lufthansa with a role such as Swiss at present. We cannot see Lufthansa and Richard Branson seeing eye to eye. To enter SKYTEAM is another option to provide a bigger presence of that alliance at Heathrow(which at the moment is tiny). It would be better to negotiate such a move with BMI under its belt but Lufthansa would probably not permit that. Both Delta and Air France would dominate any negotiations about entry not necessarily making life easy for Virgin Group, and maybe limiting its manouverability. To enter "oneworld" is a non-starter as it would complicate competition issues at the airport and across the Atlantic by being in the same alliance as British Airways. The last option is the aforementioned VIRGIN ALLIANCE (though the name would most certainly have to change because of the sensibilities of any non-Virgin members). Here the three Virgin airlines, ATLANTIC, AMERICA and AUSTRALIA together with Singapore Airlines, Etihad and Air New Zealand, and possibly interline partners(as at present) such as Jet Airways and Air China(though this airline already has a cross-shareholding with oneworld member Cathay Pacific), could forge a formidable group. From here on it is a question of waiting to see how things develop.